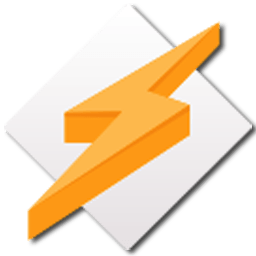 Nullsoft Winamp 5 is a fast, flexible, high-fidelity music player for Windows. Winamp supports playback of many audio (MP3, OGG, AAC, WAV, MOD, XM, S3M, IT, MIDI, etc) and video types (AVI,ASF,MPEG,NSV), custom appearances called skins (supporting both classic Winamp 1.x/2.x skins and Winamp 3 freeform skins), audio visualization and audio effect plug-ins (including two industry dominating visualization plug-ins), an advanced media library, Internet radio and TV support, CD ripping, and CD burning. This Full version plays MP3s, AAC, WMA, and more; Compatible with Winamp 2 Plug-ins; Full Support for classic and modern skins; Plays Videos; has a Powerful Media Library; Browse Internet Radio & TV Stations; Integrated Internet Music Videos & Songs; Bundled Visualizations; and Burn & Rip CDs. Winamp features: a playlist editor and a 10-band graphic equalizer with user-definable presets that can automatically load specific files. It also includes Windows Media Technology 4.0 input/output support and the industry-standard Fraunhofer MP3 decoder.